Haredi MK responds to report of lax security at holy site on Shabbat, warns Arab media pushing story could inspire attack. Chairman of the Public Appeals Committee, MK Yisrael Eichler (United Torah Judaism), has warned that a recent investigative report on lax security at the Western Wall in Jerusalem could inspire Islamic terrorists to target the holy site. Last week, Channel 2 publicized an exposé by investigative journalist David Suleiman which claimed security check exemptions at the Western Wall for religious Jews on Shabbat opened the door for potential terror attacks. 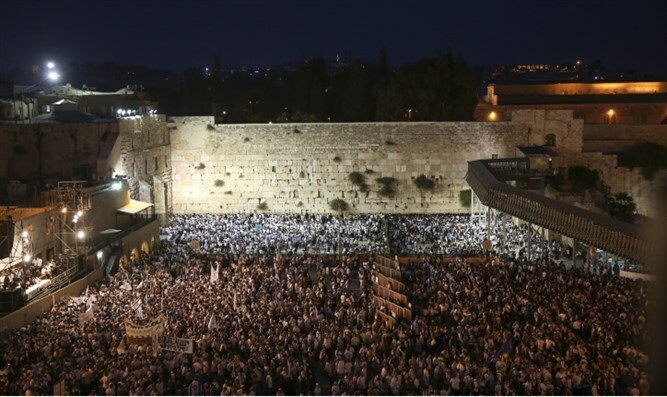 "It is inconceivable that for years religious Jews and haredim have entered the Western Wall [plaza] without being checked [for weapons],” Suleiman told Arutz Sheva. “There is no justification for the way they do not check with the metal detector and allow [the entry of] religious people, but if they won't [use the metal detectors] then they should at least check them by hand." "Any Arab can purchase a kippah and tallit [prayer shawl]. They are easy to get. They do not need our expose to figure out that you can put on a talit and go to the Western Wall through any entrance without being challenged or questioned. As far as they were concerned, I walked right in as if I were a ghost." During his investigation, Suleiman entered the Western Wall plaza with two knives and a mock explosive belt on his person, but was able to avoid the security checkpoint at the entrance of the plaza because of his religious attire. Orthodox Jews are regularly exempted from passing through metal detectors at the Western Wall plaza on Shabbat. In response to the report, MK Eichler called upon the ministries of Religion and Internal Security to find a solution which would bolster security while not causing visitors to desecrate Shabbat. Eichler added that Suleiman’s report itself could serve as inspiration for terrorists, particularly after it was picked up by Arab media outlets. “I was terrified to hear a report which by its very publication invites terror attacks on Shabbat and holidays at the Western Wall,” Eichler wrote in a letter to Minister of Religion David Azoulay (Shas) and Internal Security Minister Gilad Erdan (Likud). “The enemies of the Western Wall initiated an ‘investigative report’ which was even publicized in the Arab media as:“There are no security checks at the Western Wall on Shabbat and holidays."